With more than 25 years of experience in construction site work services, OnSite Resources is proud to be one of the Triangle’s premier building site-preparation companies. We conquer every residential project with a commitment of excellence, from laying a residential foundation to clearing your lot. OnSite Resources offers a variety of residential building preparation services to homeowners and homebuilders in Raleigh, Durham, Cary, Apex and surrounding areas in NC. Don’t hesitate to contact us for all of your site-preparation needs! 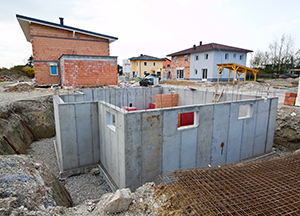 Building preparation is essential to the structural integrity of a home. With our first-hand experience in various residential site work services comes a deeper understanding of what goes into a successful site. When we prepare residential buildings pre-construction, we have the ability to foresee potential problems and correct them before they become an issue. To learn more about building preparation, lot clearing, grading, basement excavation and other residential site-preparation services offered by OnSite Resources, please call today at (919) 266-4479. Interested homeowners and homebuilders can also request an estimate online by filling out the short form to the right of the page – OnSite Resources will be in touch with you as soon as possible! With more than 25 years of experience in the Raleigh, NC construction site-preparation industry, OnSite Resources is proud to serve homeowners and homebuilders in Raleigh, Knightdale, Durham, Chapel Hill, Cary, Morrisville, Wake Forest, Apex, Garner and surrounding NC areas.